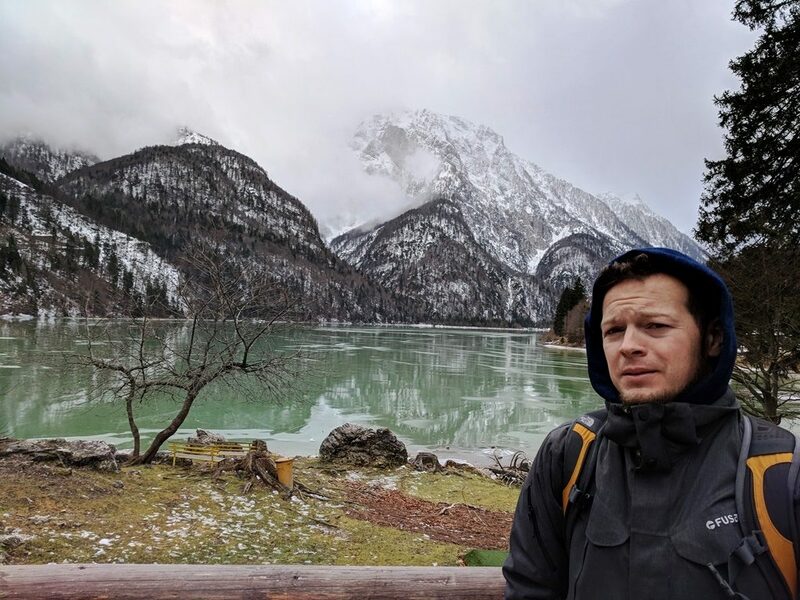 “I think we should turn back – I’d rather not die at the top of a blizzard-ing mountain before I get to eat at Hiša Franko!” was pretty much how the conversation went on the morning we were due to drive over Slovenia’s Julian Alps in what turned out to be a snow storm. It quickly became apparent we were on some sort of Top Gear Challenge – but without the Stig or any of the safety crew. In a woefully under-prepared vehicle (we were driving a Fiat 500, rented in Venice and fitted with summer tyres), we discovered that none of us had the first idea how to fit snow chains – nor which of the wheels we should actually be putting them on. Meanwhile, the poor Fiat’s tyres spun impotently on the slick white hillside. It was time to admit defeat and go the long way around. Driving from Kranjska Gora to Staro Selo via the A-roads might not have been quite as scenic as the mountain pass, but given the entire country seemed to be covered in thick fog anyway, I guess it didn’t much matter. 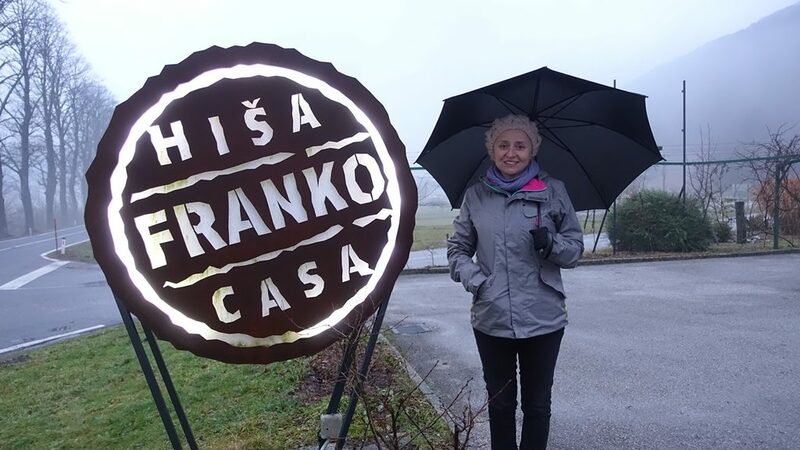 The reason for this icy trek, however, was simple: dinner at Hiša Franko – the Slovenian restaurant that may be unheard of by Michelin but has become so legendary that chef Ana Roš got her very own episode on the Netflix show Chef’s Table. Her story is a fascinating one (I won’t go into it here, but suffice to say that she’s entirely self-taught) and it inspired us to make a pilgrimage to Slovenia just to taste her food. Just east of the Triglav national park is the stunning Lake Bled – back-dropped by snow-capped mountains and complete with a magical castle on its own little island, all of which reflect obligingly in the clear silvery waters. Right on the shores of the lake you’ll find Penzion Mlino, where you can apparently stay the night but we only had lunch. 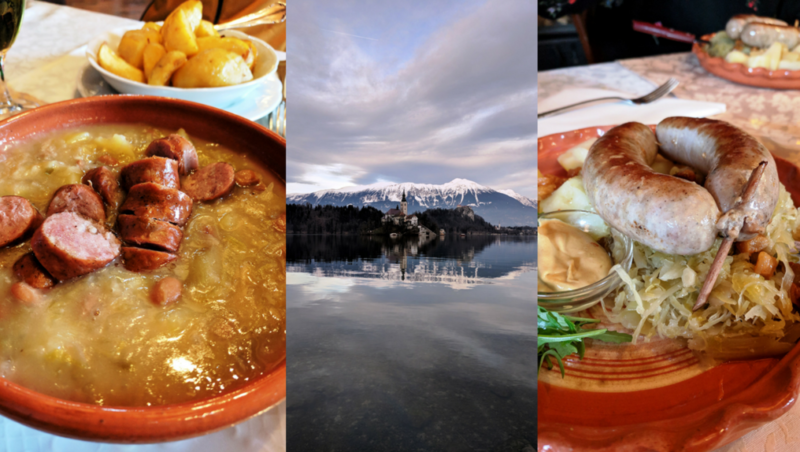 Stick to the local specialities and you’ll be in Balkan foodie heaven: I tried a potato and cabbage stew with hunks of local sausage, plenty of pepper and a hint of vinegar to cut through the stodge. My friends got a dish that comprised a similar list of ingredients but served in slightly different permutations: roast potatoes, sauerkraut and a whole sausage. Both were just what was needed on a chilly December day in the mountains, especially when gearing up for a walk around the lake. For more information on Lake Bled’s Penzion Mlino, visit mlino.si/restavracija. Right at the foot of Kranjska Gora’s ski slopes, you’ll find a variety of bars and restaurants catering to skiers in need of refreshment – and our favourite was unequivocally the Flying Smoker. As a BBQ addict, you’ll understand why. The chefs have three huge smokers burning outside, and a terrace full of tables, chairs and blankets that are perfect for a sunny lunchtime or an apres-ski beer. Their pork ribs were mouth-meltingly tender, while their roast beef (which was cut more like steak) was perfectly cooked and with a great smoky, charred, umami flavour. 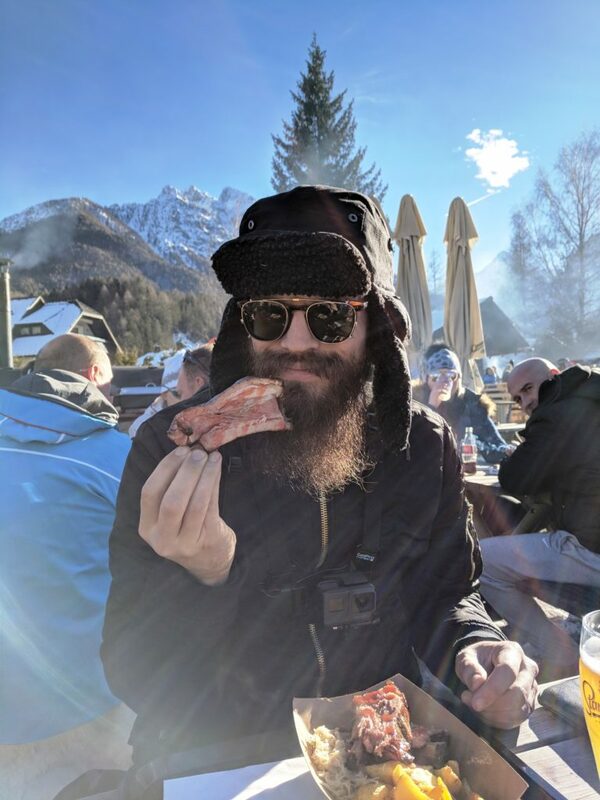 Did we accidentally stumble upon the best BBQ in Slovenia? Possibly! For more information on the Flying Smoker, visit flyingsmoker.com. Technically in Italy, Lago del Predil is a lake near Tarvisio, just across the Slovenian-Italian border in the Friuli-Venezia region. On its dramatic shores you’ll find a rough-hewn wooden chalet, which I imagine is charming in summer but was slightly horror-film worthy in mid-winter, its wooden slats slamming ominously against the side of the building while the wind ripped straight through any draughty cracks. The Top Gear Challenge was apparently still in full swing. Still, Chalet al Lago (literally: chalet on the lake) may have been remote and windswept, but it gave welcome respite to us hungry travellers on our way to Hiša Franko. The menu is simple, but it’s Italy so you can’t go too far wrong. We ordered steaming plates of pasta – spaghetti carbonara and pasta all’amatriciana – which were simple but freshly made, warming and hearty. For more information on Chalet al Lago, visit their TripAdvisor listing. Back over the border in Slovenia, we finally reached the main event – the reason for our chilly trek. Hiša Franko. Despite the enveloping mists and endless drizzle, I couldn’t hide my excitement as we saw the lit-up sign. Dinner was just around the corner. The weather outside was frightful… but Hiša Franko was delightful! Inside, both the restaurant and the guesthouse (we stayed the night, which is a good idea as there’s not much close by) feel like you’ve just stepped into someone’s living room. There’s no stiffness or formality, and the staff are up for a bit of banter. 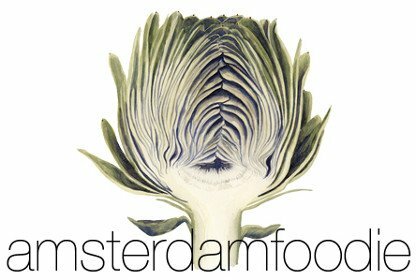 It reminded me of Noma in that respect, and it’s a development I’m starting to see more and more in high-end restaurants – they’re all the better for it, as far as I’m concerned. 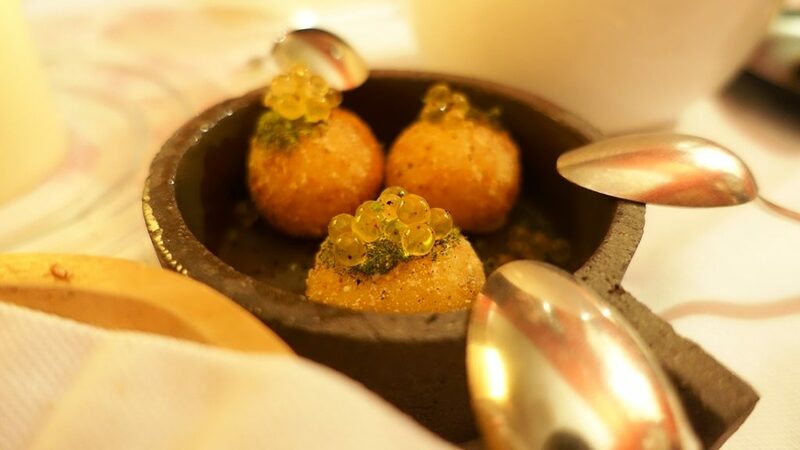 You can choose from a six-course menu or an 11-course menu, with or without paired wines. But it’s not every day you go to a restaurant like Hiša Franko, so I’d highly recommend you go for the full monty. 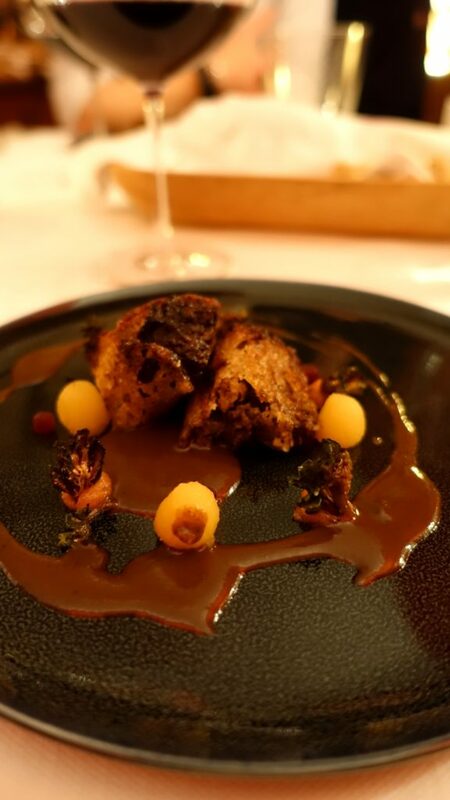 A couple of members of our group were sceptical – understandably concerned there’d be too much food and alcohol – but after we peer-pressured them into it they were glad they’d tried all 11 courses. The dishes are small and the ingredients fairly light – you needn’t be concerned that dinner is going to turn into one big French butter mountain. After several little amuse-bouches (my favourite of which was like potato bitterballen with trout roe, pictured above – surprising and delicious), we made headway on those dozen courses… The first was possibly the hardest to photograph, but a perfect morsel in the mouth: raw sardine fillet, fennel, citrus and an unexpected smokiness that added depth to the whole experience. Next came slices of apple – a local Slovenian varietal that’s sweeter than regular varieties – with delicate bites of sweetbread in a clear broth of horseradish and sauerkraut. 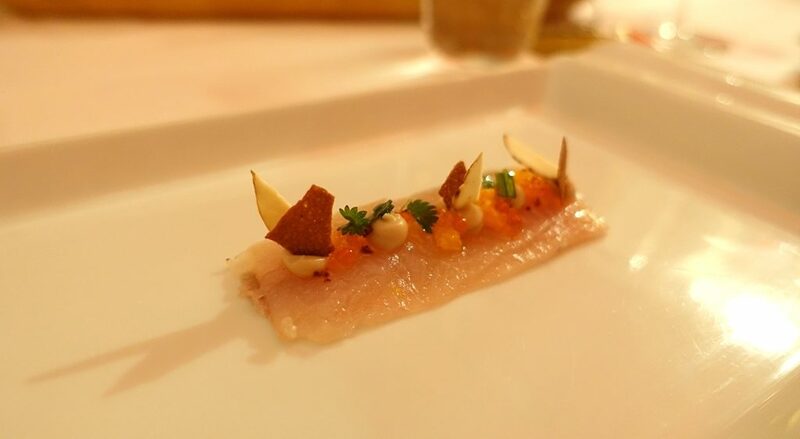 Trout then made its second appearance on the menu – this time in the form of a raw but just smoked slice (think Slovenian sashimi) with warm citrus flavours from tangerine, as well as salty roe and crunchy chestnut. It was voted a favourite dish by a couple of members of our group. 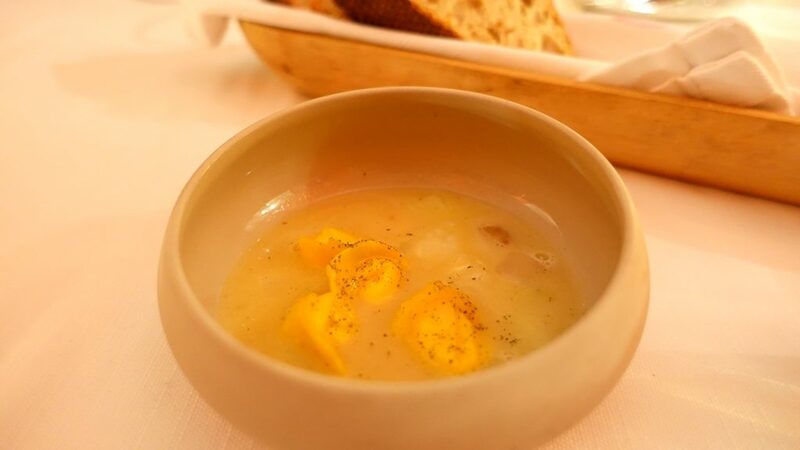 Meanwhile, this bowl of beige tasted anything but: ravioli filled with local sheep’s cheese, soft morsels of bone marrow, a prosciutto broth… Could you get any more umami into one dish? As it turns out, you can. 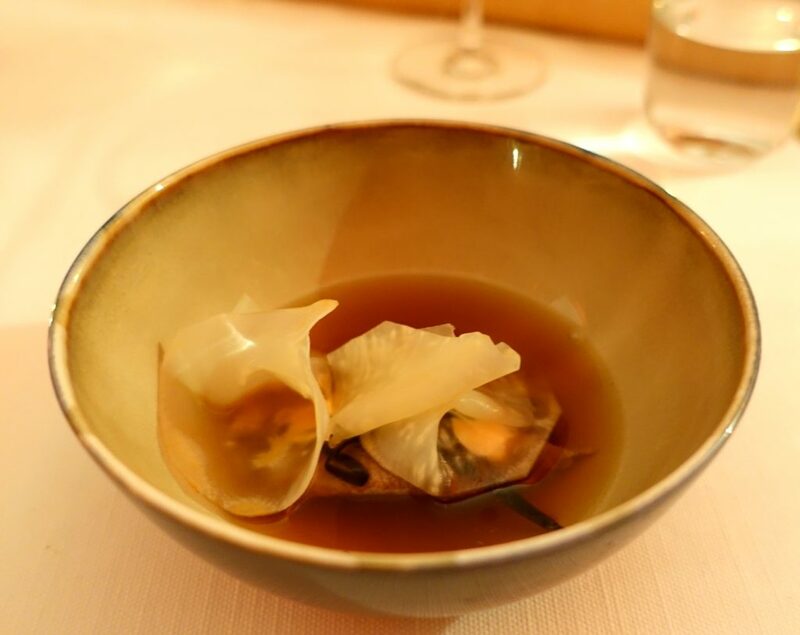 Our next course was simply named “Umami beef tongue” and the grainy, slow-cooked meat was served in another broth: this time made from seaweed, dried fish and who knows what else – all topped with slivers of sweet-sour pickled celeriac. An umami bomb indeed. “Revival of brodetto 2.0” sounds like it could be Microsoft’s latest invention, but is in fact a deconstructed version of the Italian fish stew. Ours comprised tender cuttlefish, barely cooked shrimp and a simple white fish, served with a smear of rich tomato sauce (to replace the tomato-based stew), local greens and a herbal dressing. It was expertly done, but not the most memorable dish from the evening. Possibly my favourite, however (am I allowed to have more than one?! ), was the black cod that followed. It was milky smooth with an Asian-style miso and peanut thing going on, and topped with crispy root veg and sage leaves, offset by sweet citric mandarin. The last of the savoury courses was a meaty explosion of wild boar pulled into a coarse sausage that was wrapped in a crispy bread casing. The little balls you can see in the picture I believe were quince, and that glossy jus was made from boar blood and dried plums. Once again, we all found ourselves in umami heaven. We were served two desserts, plus extensive petit fours. 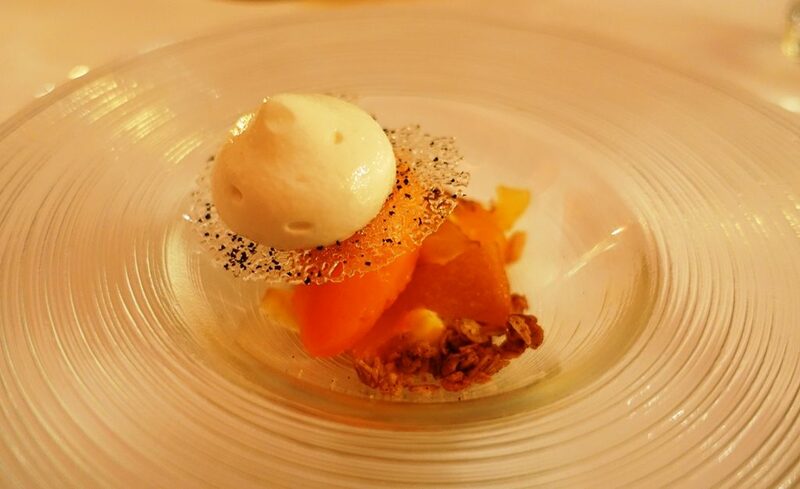 I liked the second dessert better than the first, which was tangerine sorbet, persimmon cream and almond mouse, with a little crunch from the granola underneath and the crispy disc studded with black tea you can see on top. It’s odd for me to say this, but the dish seemed to lack sweetness – and the flavours were too mild to overcome it. Plus, I’m not a fan of black tea – but all this is of course nothing more than personal taste. The second dessert was a charm, however: a walnut and buckwheat sablé biscuit on the bottom (which sort of reminded me of Scottish oatcakes), topped with a sweet-sour-fruity chutney, silky sabayon, edible gold leaf and poppingly crunchy nuts. 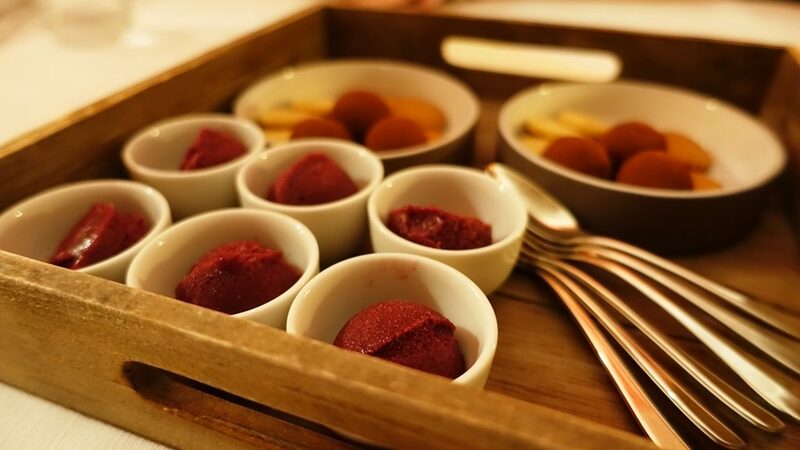 Of course, we weren’t exactly starving by this point, but we wolfed down the petit fours anyway: dark chocolate truffles were a hit, as were the forest-fruit sorbets. I realise in all this I’ve not yet talked about the wine pairings – which were splendid but I failed to write any of them down. Just trust me on this one and let the (admittedly rather cute and charming) sommelier take over. 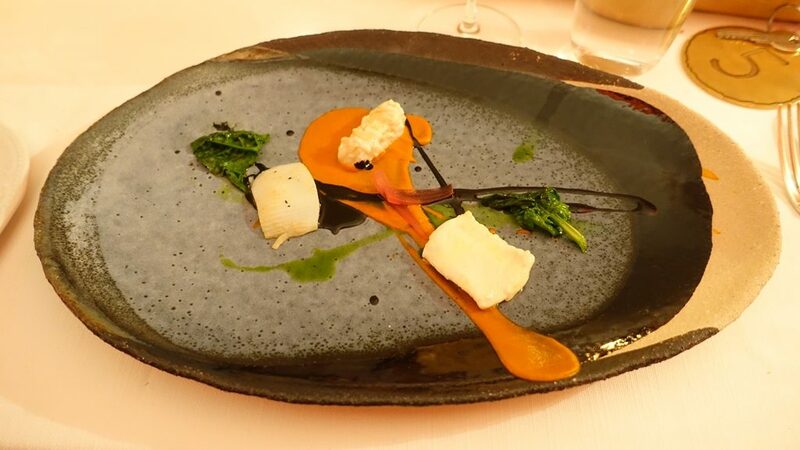 The 11 courses cost €120, which is clearly a lot of money but less than I’ve paid at many other restaurants of lower quality. 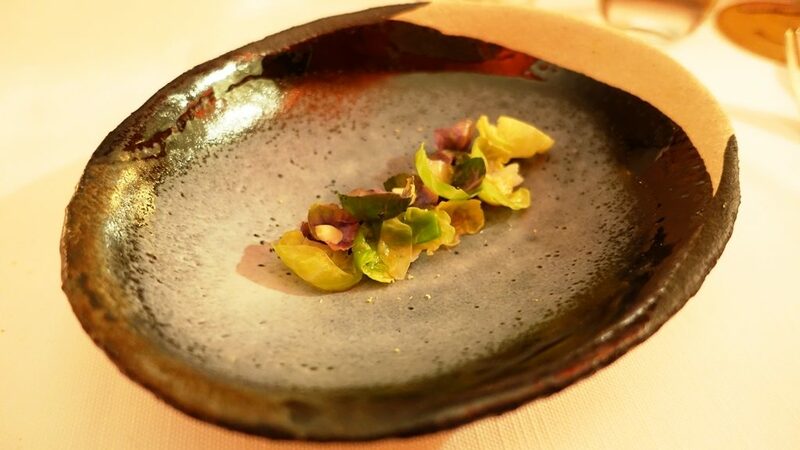 If you’ve eaten at a few Michelin-starred spots, you’ll know this is a bargain. The wine arrangement cost €65 for eight glasses, and a night in the guesthouse will set you back €130 for a double room. Including bottled water, tourist tax and everything, I spent €258 on the entire experience. When I think how much Noma cost me… well, let’s just say I could eat at Hiša Franko four times over. 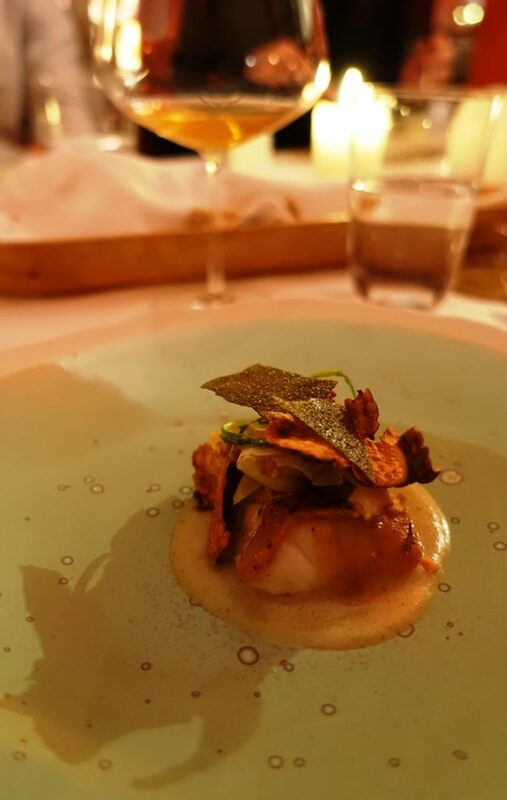 Slovenia, Hiša Franko, and the road to get there – you were one foodie pilgrimage I won’t forget. For more information about Hiša Franko and to make a reservation, visit hisafranko.com.